I loved this book because I got to meet Grace. Grace has Aspergers and it was very interesting to see how that affected her life day to day and I felt like it gave me real insight into how someone with Aspergers deals with day to day life and the challenges their condition throws at them making every day things that bit more difficult. 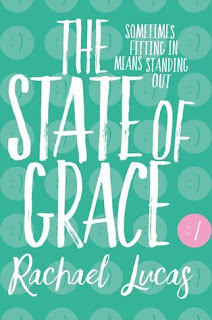 I loved Grace from the first page because she is really sweet and loving even if she can't always show it in the way others can. I loved her relationship with her best friend and I loved seeing how her first attempts at a romantic relationship went. I loved that this book featured a human / animal relationship as you see through Grace's relationship with her horse. Our relationships with our pets are so significant as you don't always see that in fiction but this book shows that special bond perfectly especially because it is a particularly poignant relationship for Grace in helping her to be calm and sort through her headspace. A fantastic and insightful read which I will be recommending far and wide.